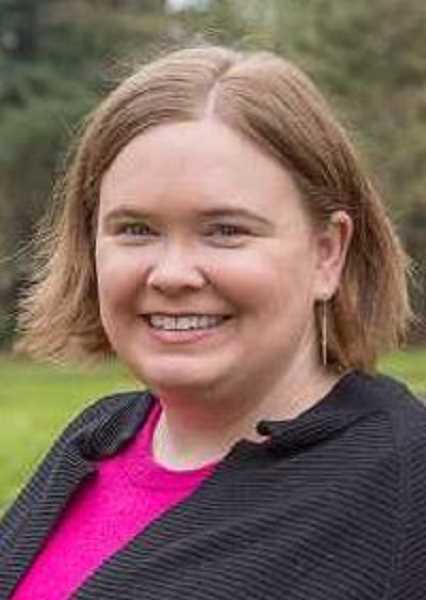 West Linn resident Christine Lewis narrowly defeated Lake Oswego City Councilor Joe Buck on Tuesday in the race for a seat on the Metro Council. Unofficial returns at midday Wednesday showed Lewis, the legislative director for the state Bureau of Labor and Industries, with 50.8 percent of the vote; Buck trailed with 48.6 percent. "I'm not taking anything for granted. We're waiting for the next returns, but the first returns were good," Lewis said Tuesday evening. "During the course of my campaign, I've connected with a lot of people across the district. I think those numbers show those connections paid off. I'm really humbled by the support. 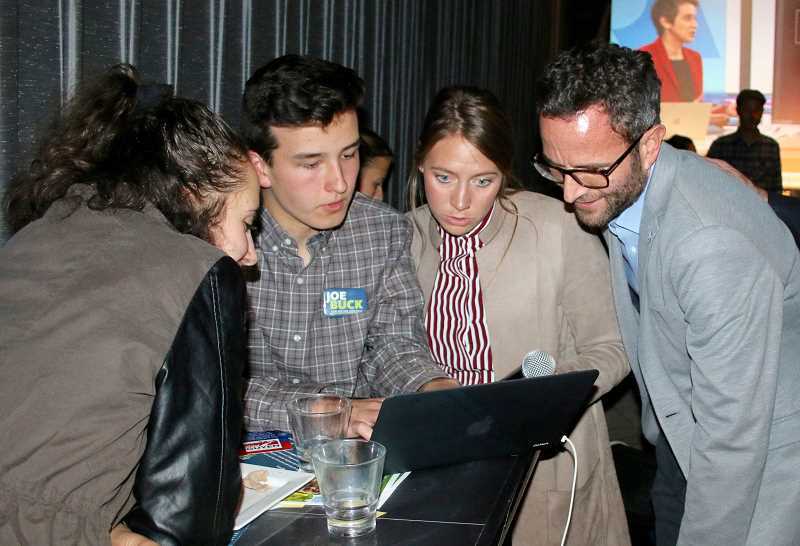 My coalition was strong, but early returns prove there was a strong coalition of voters as well." Buck conceded the race late Tuesday, saying Lewis would bring "a fervent passion to the seat." "It's a bit heartbreaking after a long-fought campaign, but I think these close results show the fact of the matter: I ran against a great person who holds the same strong values as I do," Buck said, "and we really, really made it hard on the voters." Metro District 2 includes most of the part of Clackamas County that lies within Metro's jurisdiction, as well as a small portion of southwest Portland in Multnomah County. The cities of Lake Oswego, West Linn, Milwaukie, Oregon City, Gladstone and Happy Valley are all located in the district. The district was represented until late last year by former Metro Councilor Carlotta Collette, who resigned in preparation for a move to Corvallis. The winner of this year's election will officially take office at the end of Collette's term in January 2019. Buck and Lewis were among four candidates who applied earlier this year to serve out the remainder of Collette's current term. Oak Grove resident Betty Domiguez was selected for that appointment by the other Metro councilors in March, but she finished a distant third in the May primary. Buck easily won that primary, but not by a large-enough margin to avoid a November runoff. Lewis, 33, put a strong campaign focus on affordable housing and transportation, with a particular emphasis on solving gridlock on I-205. A resident of West Linn, she has never held elected office. But she said she'd be able to draw on her broad history of work for multiple government agencies in order to effectively bring together groups of agencies and constituencies. In addition to a handful of endorsements from present and former local elected officials, Lewis was supported by a number of unions and organizations, including the Portland Association of Teachers; the Northwest Oregon Labor Council, AFL-CIO; the Oregon League of Conservation Voters and the Oregon Working Families Party. She raised more than $49,000 for her campaign against Buck. Buck, 37, is a city councilor and restaurateur from Lake Oswego. He emphasized his role as both a local elected official and a small-business owner during his campaign, which focused on livability and affordability issues such as transportation and housing. In particular, he has stressed the need for residents to be able to live near where they work. Buck said he wanted to fight to make sure Clackamas County doesn't get left behind as the region pushes to ease traffic bottlenecks. He said he would advocate for several projects, including widening I-205 near West Linn, expanding the Sunrise corridor in Happy Valley and building a bike/pedestrian bridge between Lake Oswego and Oak Grove. "Clackamas County is well known as the stepchild of the region," Buck said, "and so it's imperative that my voice is very strong in advocating for the needs of our communities here." He received endorsements from a long list of elected officials in District 2 and throughout the Metro region, including the mayors of Beaverton, Tigard, Hillsboro, Happy Valley and all five of his fellow Lake Oswego city councilors, and raised more than $130,000 for his campaign. "I feel beyond blessed for all of the faith and trust you placed in me," he told his supporters Tuesday night. "I've always said I am ready to serve when called upon. This was not the time or office for me. But your support is still valid and meaningful, and I will never forget all each one of you did to help spread a vision for what we can accomplish when we work together, put aside differences and focus on the values uniting us all."